Be a blessing to needy children and families this Christmas by helping in our Christmas Toy Drive. You, your business, school, organization, or place of worship can provide toys and smiles to very needy boys and girls. Let us know you will help. Our Centers are known for serving the homeless and needy, but did you know that each Christmas we reach out to our communites to bless and help those in need? 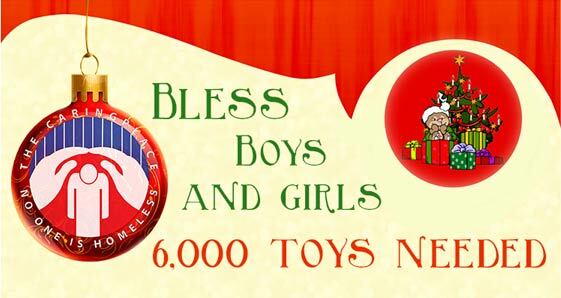 This Chirstmas we will give over 6,000 toys to boys and girls. You can help by being a part of our Toy Drive this year. For individual or small amount of toys, please drop them off to one of centers. Locations are below. 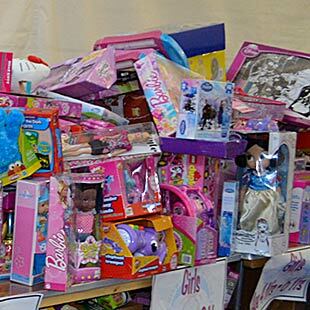 Organize a Toy Drive at your school, business, place of worship, or with a group. Let us know you can help by filling in the form so we can get large boxes to use for your own toy drives. If you have larger donations, we can arrange a pickup.